The west side of the Airport runways provides potential sites for future development for aviation-related businesses. Currently, this property is vacant and unimproved. Some steep slopes are located in the southern part of the Property but may be graded. 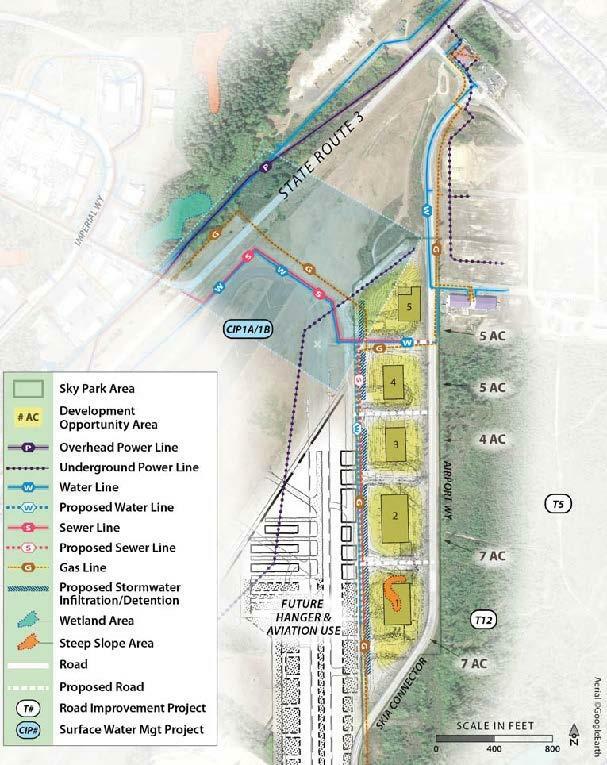 Airport Way east of the property was recently constructed and the Port is planning to invest an additional $1.1 to 2.3 million in infrastructure upgrades that may include access roads and rough grading, water main extension, sewer line extension and stormwater improvements.